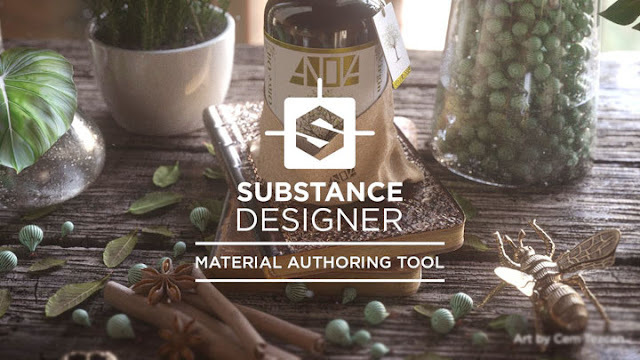 Allegorithmic Substance Designer is powered with a complete new set of features, tools and filters. it is the best alternative to the traditional 2D texture tools. it offers a new way of creating higher quality textures. 3D authoring and scan processing tool. Realtime 3D View for visualization. Fully-compatible with any game engine. New log function & 8k map baking. New curve node and text node. New instancing for GPU FX-maps. Node-based texturing tool for PBR. Export the textures to any renderer. New expose image format options. New scan processing & adjustment filters. New 16f or32f bit depth compositing. New blue noise and shape effects. It is a powerful texture compositing tool that allows you to create a realistic surface or volumetric representation of natural elements, It contains a wide library of tools, materials and effects that can be used to create texture assets and help you achieve your goals in a fully non destructive workflow. Substance Designer 2018 can be used to create a realistic or natural elements for use in texture mapping. You can import a variety of content to the program, and you can also create any natural elemets such as wood, metal, stone, and others textures and assets which are fully compatible with any game engine.